oh just wearing my normal day gear here... super casual. an incredibly feminine, but also incredibly poofed dress which is perfect to make you feel a millon bucks and a princess all wrapped into one. jones + jones are renowned for being a go-to company for prom dresses as they provide a versatile range of occasional wear to fit all types of personalities. as the dress is such a statement piece, i thought it was important to keep my make-up quite minimal, along with my hair. 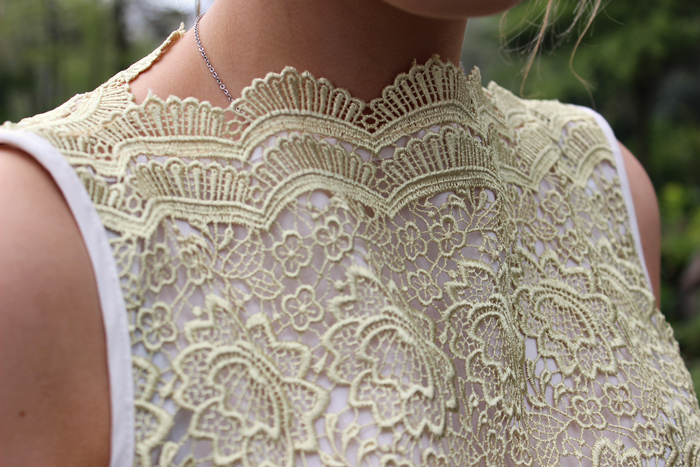 the scalloping detail on the neck is just the piece de resistance in my eyes. it's the attention to detail in this dress which makes it so beautiful to look at, and also wear. my only negative is that this dress is a size 8 (i'm a size 8-10 gal) and it's far too big for me; struggling to give me any definition on the waist. but considering this is the only flaw, which could be sorted so it's not a huge problem to me! anyway i hope you like it. let me know, as it's a lot dressier than my usual posts. bladdy stunning! what a beautiful dress! I'm not really keen on the fit of this dress but it is gorgeous. Your hair always falls so perfectly, so much envy! 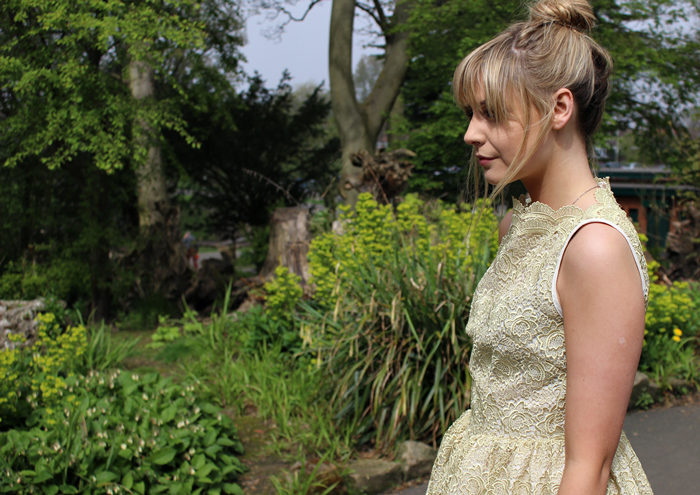 You look mega beaut in this dress!